The simple brief consisted in design a comfortable but not cosy restaurant, as long lunches or dinners are not profitable in the noodle business. It had to be hard wearing and easy to maintain in order to withstand the high level of use associated with fast food. 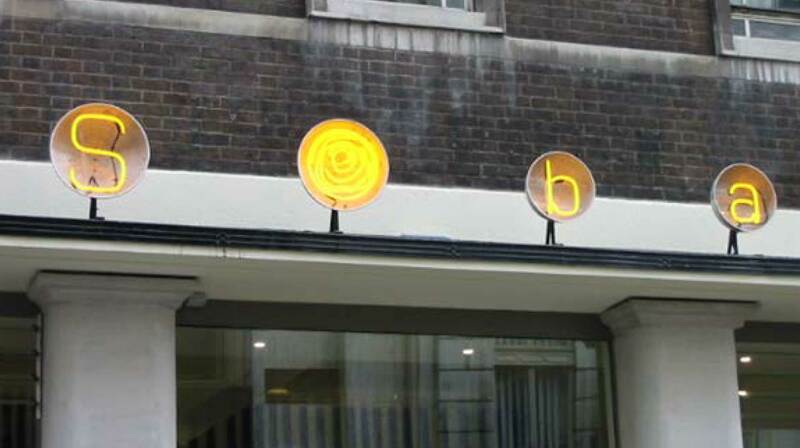 The possibility of being able to accommodate group bookings more easily than in the first SOba in Poland Street was one of the reasons that the client was attracted to the old post office space. The central position of the existing doorway, however, interfered with the efficient use of the main space. The planners agreed to our proposal to change the position of the entrance and that the original opening could be fully glazed. 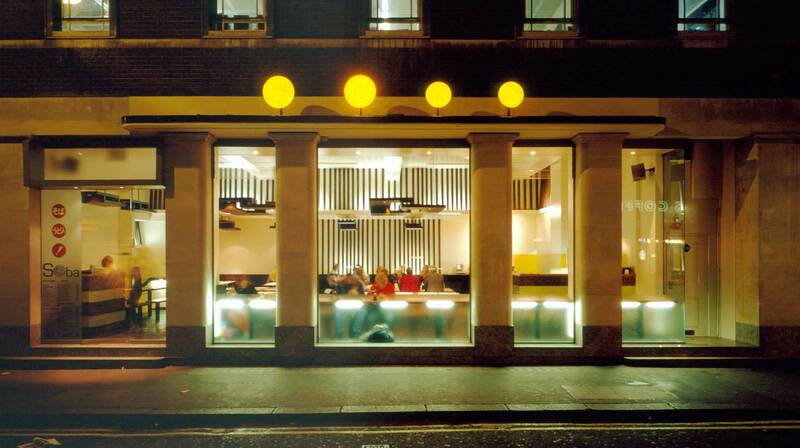 A- a linear table along the shop-front with views onto the street, for individual diners or couples. 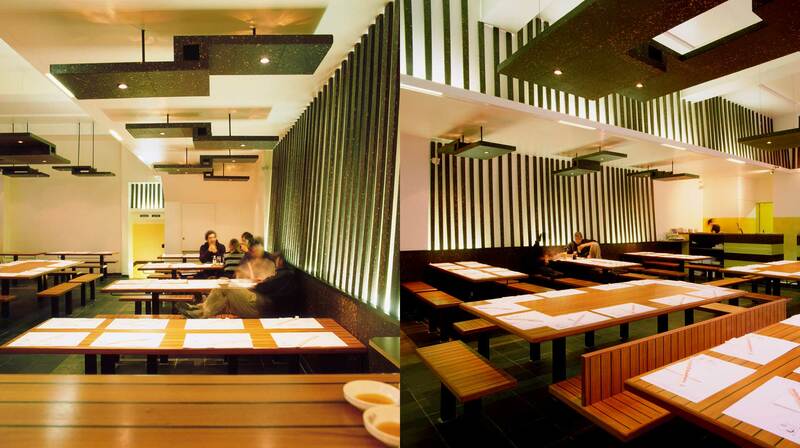 B- two central islands, comprised of ten and twelve-seat tables, for groups of up to 22 people. 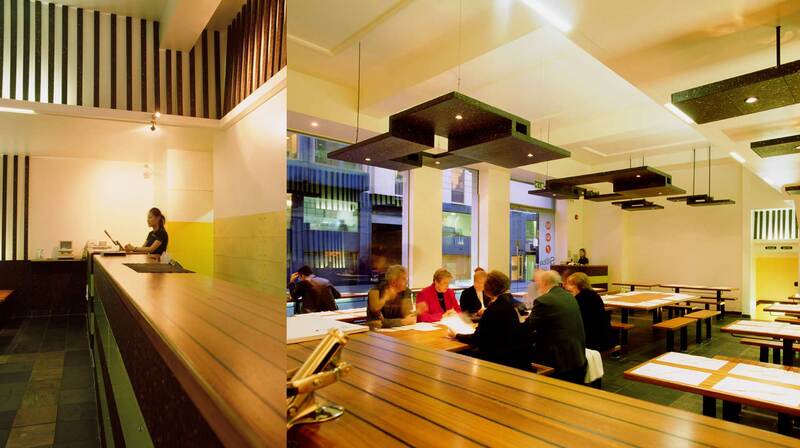 C- four tables along the back wall, under the lower ceiling, for groups of up to eight people . 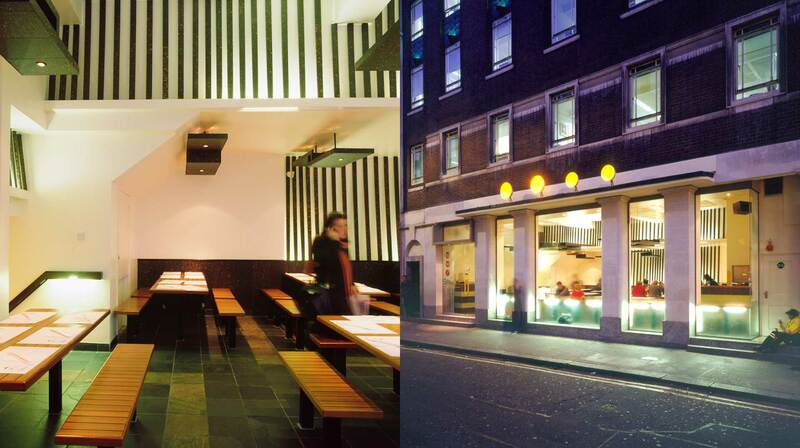 The restaurant opened in May 2002 following a continuous dialogue between the client and the architect during the design and construction process. 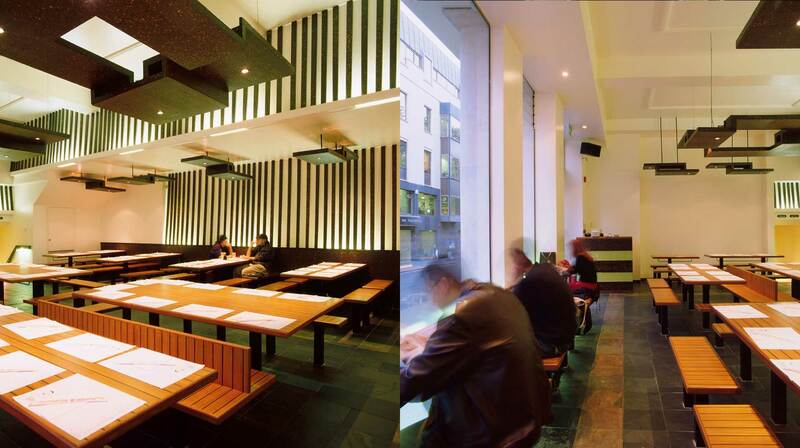 Our inquiry to find an specific response has contributed to the definition of a space which takes the original brief and develops an architectural setting to support the enjoyable experience of eating noodles.